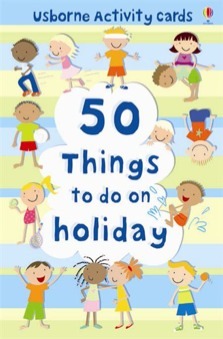 Colourful box of 50 cards each showing a fun activity or game to keep children entertained on holiday. 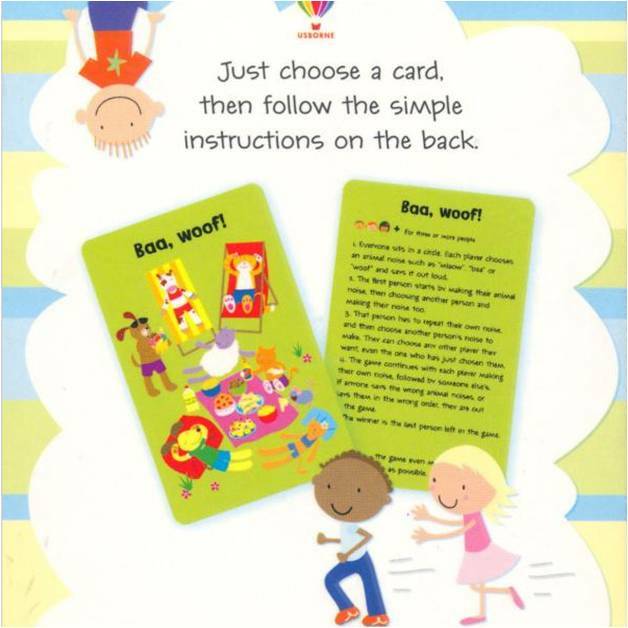 Each card shows a colourful picture of the activity, with clear step-by-step instructions on the reverse. Contains activities which all the family can enjoy together, including outdoor games such as "Piggy in the middle" and "Stuck in the mud", card games such as Cheat and word games such as Hangman. Over a hundred doodling opportunities in this travel pack!